AlphaStaff, a leading HR outsourcing firm, has hired Dorothy Miraglia King to further develop the master benefits program within the organization. ...Ms. King brings great expertise into AlphaStaff's benefits strategy and operations team. 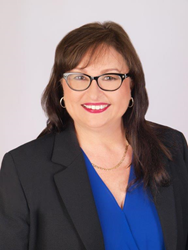 AlphaStaff, a leading HR outsourcing firm, has hired Dorothy Miraglia King, who will join its leadership team as Vice President of Benefits. In her role, Ms. King will be overseeing the strategic product development for the master benefits program within the organization, which includes managing AlphaStaff's strategic relationships with insurance carriers and other vendor partners. Ms. King will also be working with AlphaStaff's General Counsel to provide compliance and guidance over matters related to the delivery of employee benefit plans. Having over twenty-five years of employee benefits administration and human resource experience, Ms. King brings great expertise into AlphaStaff's benefits strategy and operations team. "We are very excited to have Dorothy return to AlphaStaff," said AlphaStaff President and CEO, Kyle R. Kelly. "Our master benefits program is continuously growing, especially in Florida and California. Dorothy's leadership and vast knowledge of the industry will greatly benefit the development of these medical solutions. She has already had some very gainful conversations with our VPs of these regions, Harry Glazer (West Coast) and Keith Tirico (East Coast), and the team could not be more enthusiastic about her involvement." Ms. King is a member of the Society of Human Resource Management (SHRM), International Foundation of Employee Benefits Plans (IFEBP) and World at Work. She is a licensed insurance agent in addition to attaining both her Senior Professional in Human Resources (SPHR) certification and SHRM Senior Certified Professional. Since 1997, AlphaStaff has alleviated administrative burdens for small and medium-sized businesses across the country. As a full-service HR outsourcing company, with the highest industry accreditations, AlphaStaff provides a suite of human resources, employee benefits and employee administration solutions that are designed to simplify business. AlphaStaff currently offers master medical benefit plans in the states of Florida, California, Colorado, and New York. For more information, please visit http://www.alphastaff.com.